Liveaboard diving in Thailand can be fantastic as the West Coast of Thailand joins the Andaman Sea, which soon becomes The Bay of Bengal and The Indian Ocean. For this reason alone, the coastal seas are clearer and cleaner than the Gulf of Thailand. Thailand’s west coast is home to the world-famous islands of Phuket, Phi Phi and Similan Islands which can be great for liveaboard dive trips. There are hundreds of kilometres of coastline from the border with Myanmar in the north and Malaysia in the south. Pristine beaches, tropical paradise islands, and coral reefs are very much the norm all along this western coast. Because of this, tourists come from all over the world to enjoy sunsets over the sea’s horizon, and activities in the sea and on beaches. And on Thailand’s west coast is where the scuba diving is best as here you will find some of the best dive sites in the world. This is mainly due to the life and habitats underwater being better thanks to The Indian Ocean providing a constant supply of food and more. Unlike in The Gulf of Thailand, where circulating currents keep most of the water & species in the same area, the west coast is fed & cleaned by a vast amount of water. Therefore, not only is the water clearer, it is also common for large pelagic species to visit. 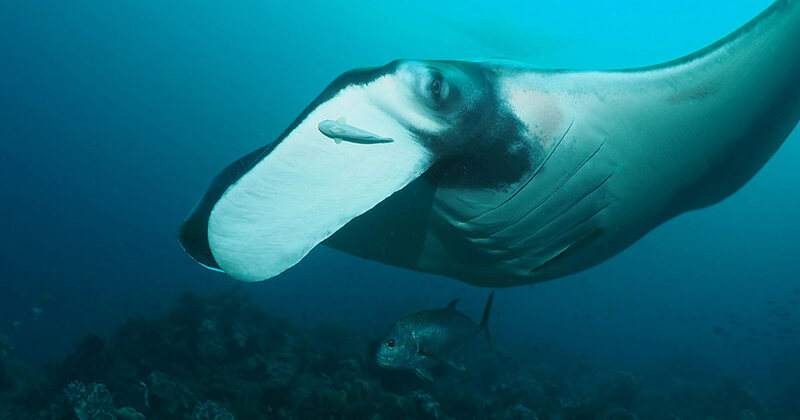 Whale Sharks and Manta Rays are the most popular species to hope to see when scuba diving in Thailand, but there are many more exciting fish, reptiles and invertebrates. The west coast of Thailand has several areas to enjoy some fantastic scuba diving, some of which are in tourist hotspots. Visitors need to decide what they want from a scuba diving holiday in Thailand, and there’s always a sacrifice to be made. Choosing the best dive sites may involve having to sleep on a diving liveaboard boat or travelling far out to sea. 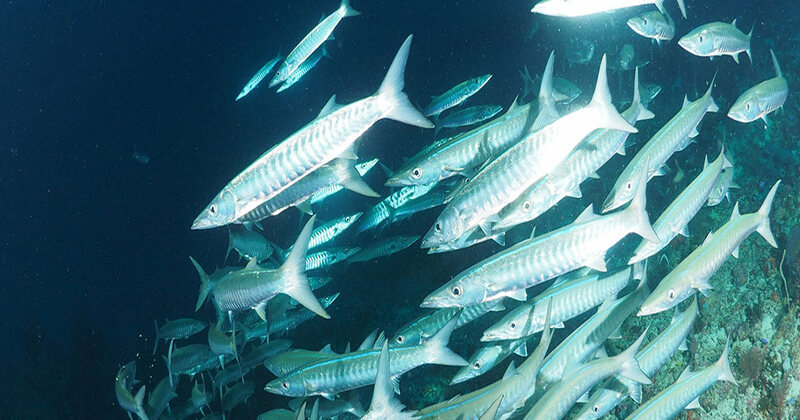 Although there are many great dive sites near to land which can be visited on day trips, these may be crowded with other divers, or not offer the chances to see something special. Then of course there’s the financial cost to think about. Choosing the right part of Thailand is just the start of planning your diving holiday. The Similan Islands is a small and remote archipelago 60km off the west coast of Thailand, not far from the border with Burma (Myanmar). 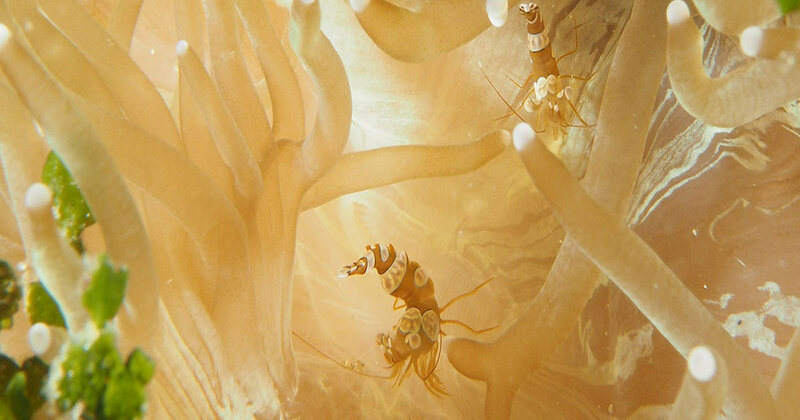 It is by far the best place for scuba diving in Thailand, and many regard it as among the best in the world. This is reinforced by the large number of dive sites that can be enjoyed by all levels of scuba diver, and reached by both day trips and liveaboard diving safari cruises. Without doubt, the best diving site in Thailand is Richelieu Rock. Ever since Jacques Cousteau first discovered this underwater pinnacle several decades ago divers from all around the world have agreed that there is no better dive site in the Kingdom. While some local diving professionals have a soft spot for Koh Tachai or Hin Daeng, the general consensus is that Richelieu Rock has just too much good stuff on any given day to be knocked off of its throne. It’s impossible to say which one thing (be it a dive site, a car, a cell phone, or anything) is ‘the Best’ because everyone is unique in their needs & tastes. While Richelieu Rock is regarded as the ‘Best Dive Site in Thailand’ it is far from perfect for many divers. Some don’t like its remote location or the fact that is in open sea and there’s nothing above the water’s surface to look at or to absorb wind & waves. Koh Tachai is located at the northern end of Mu Koh Similan National Marine Park, and is home to one of Thailand’s most-beautiful beaches and underwater oases. 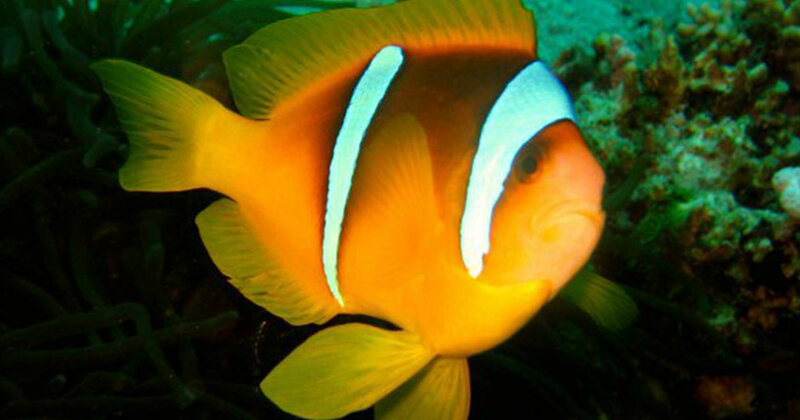 It is world famous among scuba divers, who come to enjoy the topography and marine life. Although Richelieu Rock is the most-famous dive site in Thailand, Koh Tachai is a favourite among many scuba diving professionals. 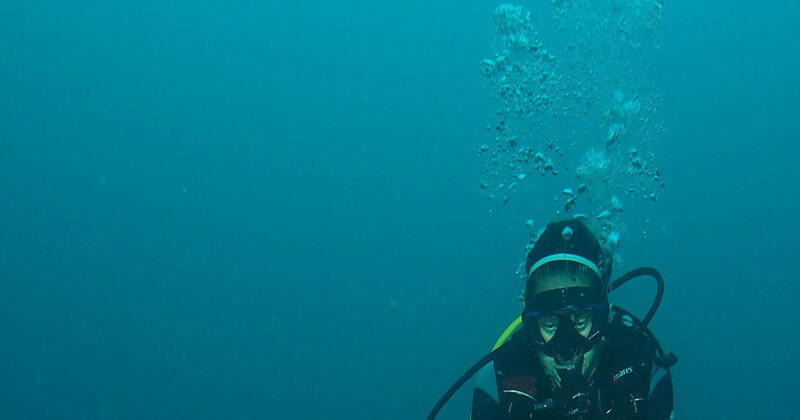 There are plenty of wonderful experiences to enjoy here, but it is also important to know the few dangers and disadvantages of scuba diving at Koh Tachai. The Surin Islands is a mini archipelago close to the border with Myanmar (Burma). The five islands are not nearly as popular as The Similan Islands, which are a little further south, but they are very worthwhile visiting for a number of reasons. 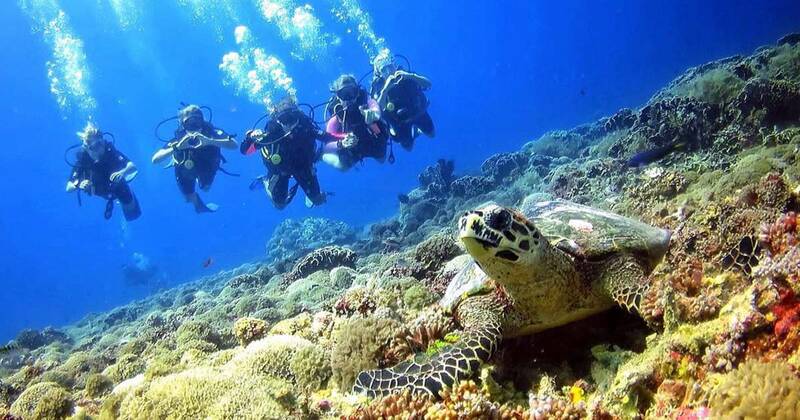 Diving Surin Islands is great for all levels of diver. 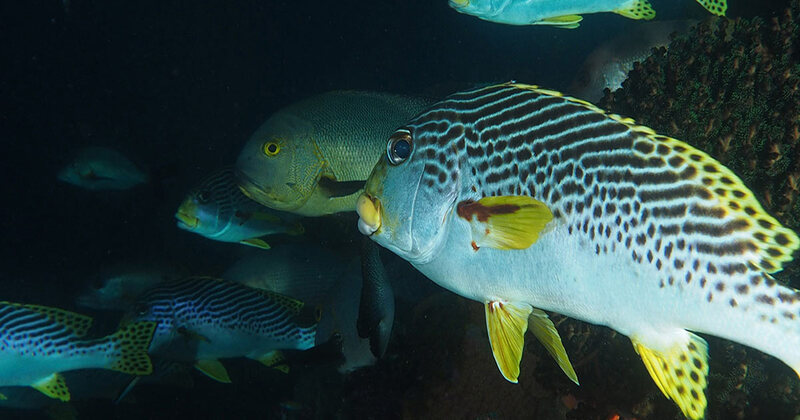 There are some excellent diving sites, including Richelieu Rock and the gently-sloping shallow reefs in protected bays make for some of the best snorkelling in Thailand. 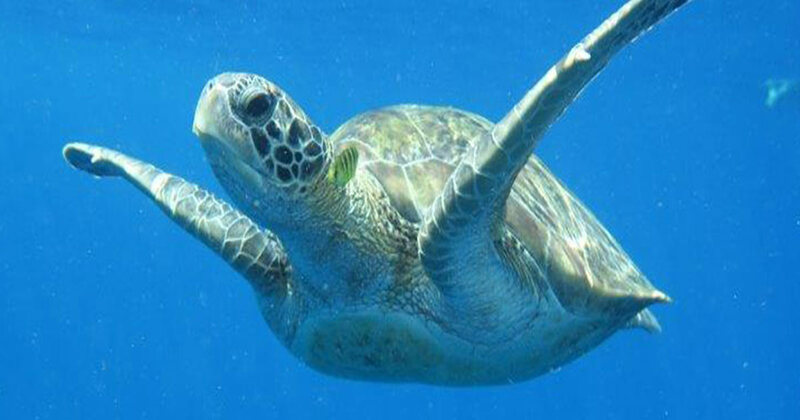 In addition, for activities out of the crystal-clear sea, there are local villages to visit and some very special wildlife species, including mammals and birds. Hin Daeng (Red Rock in the local language) is one of the best diving sites in Thailand. It’s not suitable for new or inexperienced divers. Those who dive at Hin Daeng are guaranteed a wonderful experience, and may see something special such as a Manta Ray or Whale Shark. The location is what makes Hin Daeng special. Sitting just a couple of hundred metres next to the well-known Hin Daeng is Hin Muang (Purple Rock in the local language). Nobody is really sure why these two undersea pinnacles are referred to as a pair and called ‘Hin Daeng’ because neither is better than the other. One of the most-popular diving locations on many Similan Islands diving liveaboard trips is Boonsung Wreck. 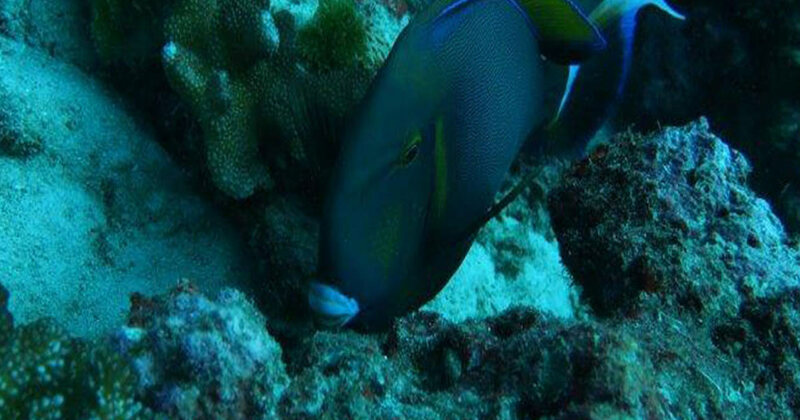 It is not the best dive site, and it’s not really suitable for all levels of scuba diver, but it there are several reasons why it is chosen by most cruise leaders as the final dive site of the trip. 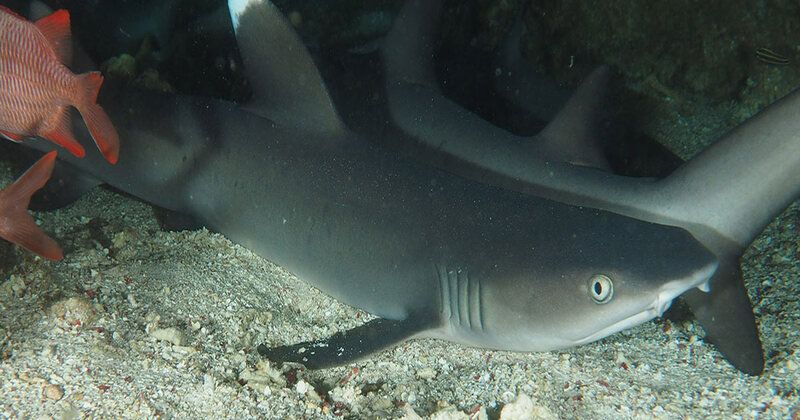 Also, it’s popular for day trip diving from Khao Lak. 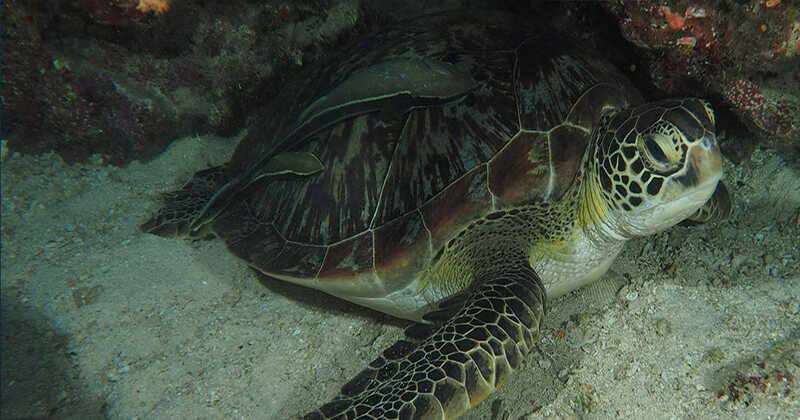 Its location is the main reason for its popularity, but the marine life there is also diverse, abundant and interesting. 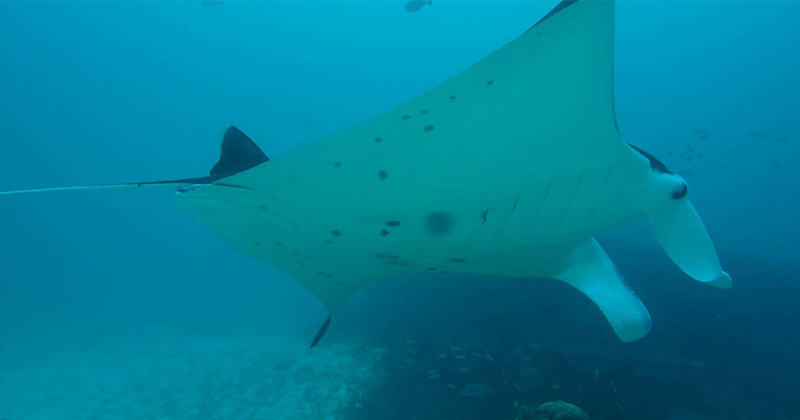 However, unlike other Similan diving locations which are dived more than once per trip, Boonsung is dived more than once for other reasons. This is a very popular dive site for mostly day trip dive boats from Phuket, as well as from Phi Phi and Koh Lanta. 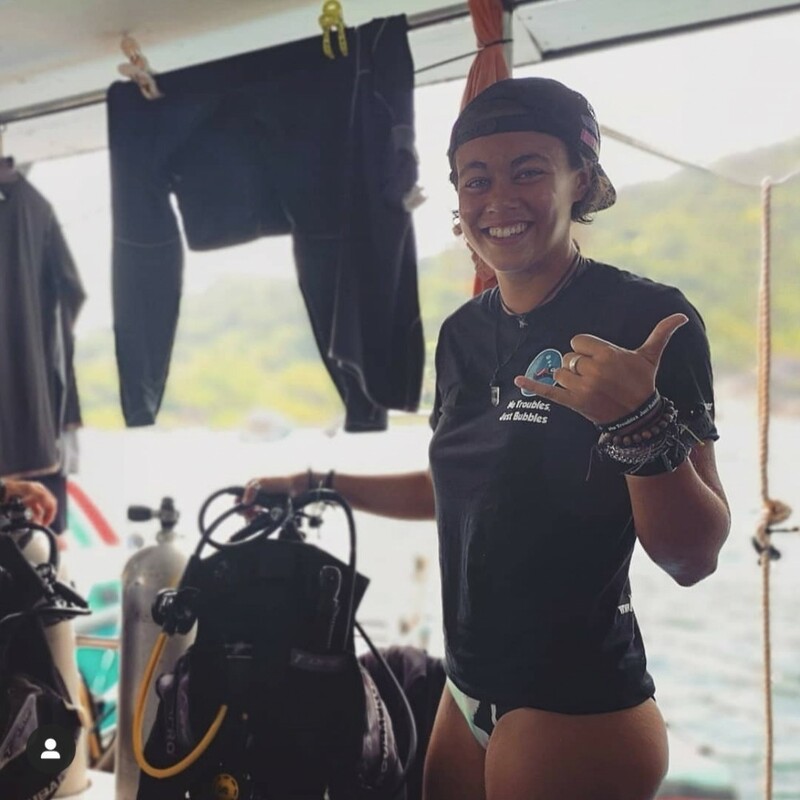 Some diving liveaboards also visit as part of a short diving liveaboard cruise around Phuket, Phi Phi, maybe Koh Haa and/or Hin Daeng. Although Open Water divers can dive at MS King Cruiser, it’s better for those who are certified a bit deeper. The structure is deteriorating, but the marine life is growing all the time. 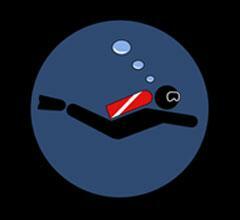 Sea conditions are ok, but dives need to be planned carefully to get the best out of it. Thailand is famous for some wonderful scuba diving locations, most of which are often too extreme for new and learning divers, and no good at all for snorkellers. These include Richelieu Rock, Koh Tachai and even Koh Bon. In addition, these ‘awesome’ dive sites are a victim of their own success by often being busy with boats and full of divers. So, where can divers of all cert levels and snorkellers go to enjoy some great underwater experiences? Koh Haa. Phuket is a world-famous resort island in the south of Thailand. Visitors can take part in many activities, many of which involve the sea. Scuba diving in Phuket is enjoyed by hundreds of thousands tourists each year, and it’s possible to dive in Phuket all year round. 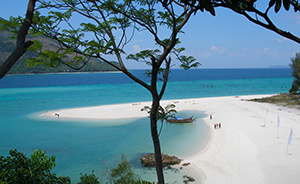 It is generally agreed that the best diving in Thailand is on the country’s west coast, just north and south of Phuket. Therefore, with an international airport and millions of tourists arriving each year, Phuket has a well-established scuba diving industry. Koh Phi Phi is one of the most-popular tourist destinations in Thailand. It started to become famous in the 1990s, and its popularity rose sharply due to the filming of the Hollywood move The Beach. It’s located almost exactly half way between Phuket and Krabi, but is technically within Krabi Province. The only ways to get to Phi Phi are by public ferry or speedboat, and once on the island, there are no vehicles at all. Not everyone goes to Koh Phi Phi to scuba dive. There is accommodation for all budgets, dozens of restaurants and bars, and other water sports available. However, the majority of tourism on Koh Phi Phi is based around scuba diving. Khao Lak is a seaside resort town in Phang Nga Province. It’s an hour north by road from Phuket Airport. Khao Lak was severely affected by the 2004 tsunami, but is now a great place for families & couples to visit, even if they have no interest in scuba diving. It’s much more laid back than Phuket. Ranong Province is at the other end of Thailand’s western boarder when compared to Koh Lipe. Ranong Town is the northernmost Thai town on this coast, and is mainly known as a border town with Myanmar/Burma. There’s not a great deal of special diving from Ranong, although the province does have several pristine islands, such as Koh Chang & Koh Phayam. These islands’ reefs are in shallow water and slope away gently, meaning that they’re perfect for snorkelling or learning to dive, but there’s not much of a diving industry on them. However, based in Ranong Town are several dive centres which run liveaboard diving boats that sail into Burma’s Mergui Archipelago. Liveaboard diving in Burma involves more preparation than in Thailand due to each diver having to pay for a permit. For that reason, and the distance to many dive sites around hundreds of islands, diving safaris in Burma tend to be at least 5 days in length, and often longer. Krabi Town doesn’t really have many diving spots, but in Krabi Province in addition to Koh Phi Phi, there are Koh Lanta, Koh Haa and some smaller islands. 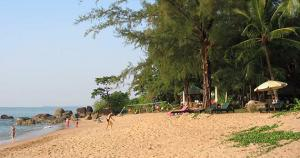 Koh Lanta is quite large and has plenty of hotels and a road around its coastline. Koh Haa is uninhabited, but a popular diving destination in the south of Thailand. Most dive trips from Koh Lanta will either sail west to Koh Phi Phi or south to Koh Haa, because the dive sites close to Koh Lanta aren’t very special. Koh Haa is a wonderful mini archipelago, but only open from October to May. It’s ideal for divers of all levels of certification and experience, as well as snorkellers. Another dive spot in the area is known as Hin Daeng, although in fact it’s two undersea pinnacles called Hin Daeng & Hin Muang. There’s nothing to do here except dive because there’s nothing above the surface, and it’s exposed in deep sea far away from anything. 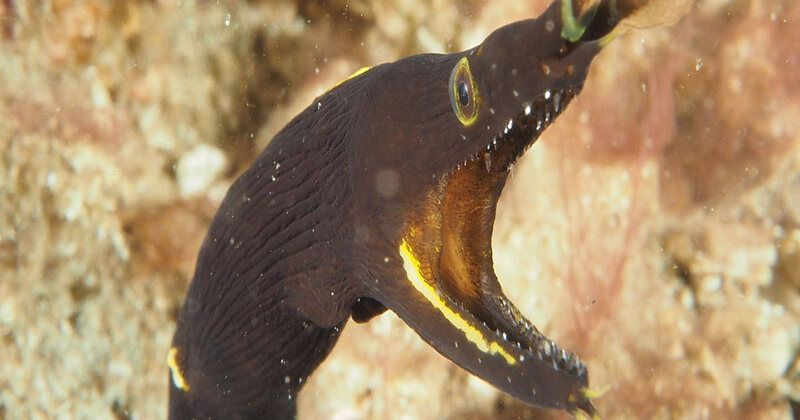 The two dive sites are not for beginners, and like the best dive spots in Thailand, only open from October to May.